Quote - "Computer Science is no more about computers than astronomy is about telescopes." 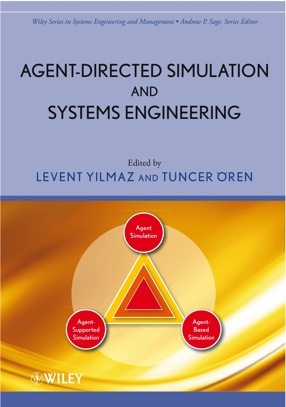 Editor-in-Chief of the Simulation: Transactions of the Society for Modeling and Simulation International (2008 - 2016). Editorial Board Member of the International Journal of Simulation and Process Modeling (2004-present). Associate Editor of the Springer Complex Adaptive Systems Modeling Journal (2012 - present). Associate Editor of the International Journal of Engineering Education (2006 - present). Associate Editor of the Simulation & Gaming Journal (2008 - 2016). Elected Member of the Board of Directors of Society for Modeling and Simulation International (2006 - 2008, 2009 - 2011, 2011 - 2013). Vice President for Publications of the Society for Modeling and Simulation International (2011 - 2013). Best Paper Award, 2017 International Symposium on Modeling and Simulation of Complexity in Intelligent, Adaptive and Autonomous Systems, Virginia Beach, VA, USA. Best Paper Award, 2014 IEEE International Conference on System Sciences, Hawaii, USA. Best Paper Award, 2012 International Summer Simulation Multiconference. Genoa, Italy. Distinguished Service Award, Society for Modeling and Simulation International, 2012, 2016. Distinguished Professional Achievement Award, Society for Modeling and Simulation International, 2011. Auburn University External Consulting Award, Auburn University, 2010. Member of Upsilon Pi Epsilon, Honor Society in Computing Sciences. Complex Adaptive Systems - Computational explorations in socio-technical, cognitive, cultural systems: Science of science and innovation policy, systems models of collective creativity, computational models of scientific discovery, conflict simulation, computer simulation of projects, organizations, communities, and processes. Software Modeling and Design - Cognitive models of design, conceptual structures and processes of creative design. Yilmaz L. and S. Sivaraj (2019). “A Cognitive Architecture for Verifiable System Ethics via Explainable Autonomy," in Proceedings of the 2019 Annual IEEE International Systems Conference. April 8-11, Orlando, FL. Yilmaz L., A. Franco-Watkins, and T. S. Kroecker (2017). "Computational Models of Ethical Decision-Making: A Coherence-Driven Reflective Equilibrium Model," Cognitive Systems Research, vol. 46, December 2017, pp. 61-74. Yilmaz L., S. Chakladar, K. Doud, A. E. Smith, A. Teran-Somohano, H. Oguztuzun, S. Cam, O. Dayibas, and B. K. Gorur (2017). "Models as Self-Aware Cognitive Agents and Adaptive Mediators for Model-Driven Science," in Proceedings of the 2017 IEEE/ACM Winter Simulation Conference, pp. 1300-1311. December 3-6, 2017. Las Vegas, NV. Teran-Somohano A., A. E. Smith, and L. Yilmaz (2017). "Model Alignment Using Optimization and Design of Experiments," in Proceedings of the 2017 IEEE/ACM Winter Simulation Conference, pp. 1288-1299. December 3-6, Las Vegas, NV. Doud K. and L. Yilmaz (2017). "A Framework for Formal Automated Analysis of Simulation Experiments using Probabilistic Model Checking," in Proceedings of the 2017 IEEE/ACM Winter Simulation Conference, pp. 1312-1323. December 3-6, Las Vegas, NV. Yilmaz L. (2017). "FeatureSim: Feature-Driven Simulation for Exploratory Analysis with Agent-Based Models," in Proceedings of the IEEE/ACM 21st International Symposium on Distributed Simulation and Real Time Applications (DS-RT), pp. 163-170. October 18-20, 2017. Rome, Italy. Yilmaz L. (2017). "Quantum Cognition Models of Ethical Decision-Making in Human Behavior Simulation," in Proceedings of the European Modeling and Simulation Symposium, pp. 63-70. September 18-21, 2017. Barcelona, Spain. Yilmaz L., S. Chakladar, and K. Doud (2016). "The Goal-Hypothesis-Experiment Framework: A Generative Cognitive Domain Architecture for Simulation Experiment Management," in Proceedings of the 2016 IEEE/ACM Winter Simulation Conference, pp. 1001-1012. December 11-14, 2016, Washington, D.C.
Yilmaz L. (2017). 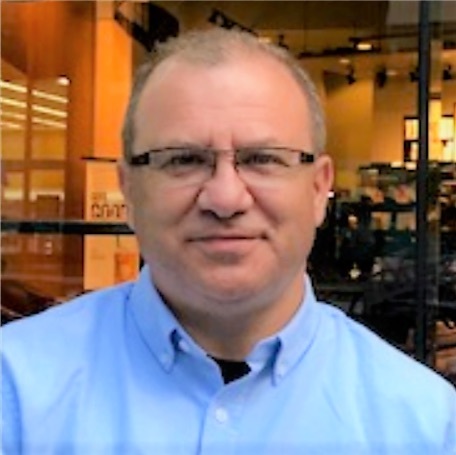 "Verification and Validation of Ethical Decision-Making in Autonomous Systems," in Proceedings of the 2017 Modeling and Simulation of Complexity in Intelligent, Adaptive and Autonomous Systems (MSCIAAS) Symposium of the Spring Simulation Multiconference}. April 23-27, 2017, Virginia Beach, VA.
Topcu O., U. Durak, H. Oguztuzun, and L. Yilmaz (2016). 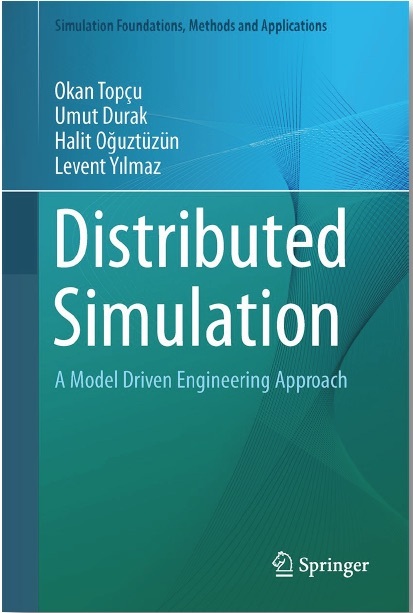 Distributed Simulation: Model-Driven Engineering Approach. Springer. Yilmaz L. (Ed.) (2015). 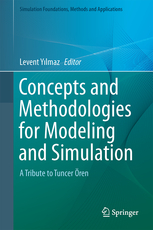 Concepts and Methodologies for Modeling and Simulation. Springer. Mentis A. and L. Yilmaz (2014). "Validation and Analysis of a Distributed, Agent-Based Metaheuristic for Negotiation of Consensus Inspired by Honeybee Nest Site Selection Behavior," in Proceedings of the IEEE Hawaii International Conference on System Sciences, pp. 269-276. January 6-9, 2014. Hawaii. (Best Paper Award). Teran-Somohano A., O. Dayibas, L. Yilmaz, A. E. Smith (2014). "Toward a Model-Driven Engineering Framework for Reproducible Simulation Experiment Lifecycle Management," in Proceedings of the 2014 IEEE/ACM Winter Simulation Conference. pp. 2726-2737. December 7-10, Savannah, Georgia. Yilmaz L., F. Darema, R. Fujimoto, S. J. E. Taylor (2014). "Panel: The Future of Research in Modeling and Simulation," in Proceedings of the 2014 IEEE/ACM Winter Simulation Conference, pp. 2797-2811. December 7-10, Savannah, Georgia. Tolk A., B. L. Heath, M. Ihrig, J. J. Padilla, E. H. Page, E. D. Suarez, C. Szabo, P. Weirich, and L. Yilmaz (2013). "Epistemology of Modeling and Simulation," in Proceedings of the IEEE/ACM Winter Simulation Conference, pp. 1152-1166. December 8-11, 2013. Washington D.C.
Yilmaz L. (2012). "Reproducibility in M&S Research: Issues, Strategies, and Implications for Model Development Environments," Journal of Experimental and Theoretical Artificial Intelligence, vol. 24, no. 4, pp. 457-474.